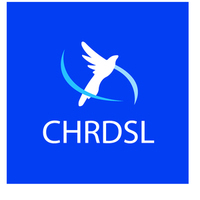 CHRDSL is a human rights organization based in Sierra Leone which is set up to help the people of Sierra Leone to stand up for their rights. CHRDSL also engages business leaders, stakeholders, policymakers and politicians by drawing their attention to the implementation of economic, social development and that of human rights policies. CHRDSL also empower people through financial support and hands on project. We at Campaign for Human Rights and Development Sierra Leone (CHRDSL) know that we don’t have all the answers. We seek to promote the well-being of women, children and youth by addressing the root causes of serious problems. Our work is to expand opportunities for poor and vulnerable people and to help ensure that their right to development is fully addressed, through education and advocacy. 40 Africanus Road , (off Bai Bureh Road) Kissy.